Foreign Minister Avigdor Lieberman is threatening the Palestinian Authority if it goes ahead with its unilateral statehood bid at the United Nations General Assembly, Channel 10 News reported on Monday. 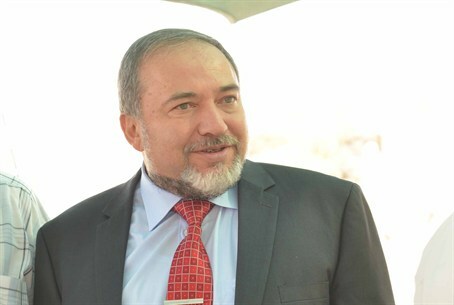 Lieberman reportedly stressed that a unilateral statehood bid by the PA will "put an end to the chances to resume peace negotiations." The Security Cabinet is expected to meet on Tuesday to discuss Israel's response to the PA’s bid in the UN. Abbas formally announced in September that the PA would ask the General Assembly to grant it "super-observer" status that could give it access to UN institutions and agencies. PLO officials confirmed that the PA plans to submit its request after Tuesday’s U.S. presidential election. In an attempt win over Israeli public opinion ahead of the UN bid, Abbas on Friday gave an interview to Israel’s Channel 2 News, in which he hinted that he had given up on the “right of return” when he said that he had no intention of trying to regain his childhood home in the northern town of Tzfat (Safed) in Galilee, which was liberated by Israel in 1948. "I want to see Safed," he said in English. "It's my right to see it but not to live there." Abbas reiterated his acceptance of the Israeli state within the 1949 Armistice borders that preceded its defeat of combined Arab armies in the 1967 Six Day war. "Palestine for me now is '67 borders with east Jerusalem as its capital," he told Channel 2. "This is Palestine for me. I am a refugee, I am living in Ramallah, I believe that the West Bank and Gaza is Palestine and the other parts is Israel." The comments caused a storm both in Israel and in the PA. After his remarks sparked huge protests in Gaza, Abbas retracted his statements. His own spokesman said that the Palestinian Authority certainly has not given up the demand that Israel allow the immigration of several million foreign Arabs who claim Israel is their home.